Mitt Romney’s latest campaign statement won’t get the same attention as “Ann drives a couple of Cadillacs.” But maybe it should. The Romney campaign has confirmed to BuzzFeed, ABC News, and Politico that the former Massachusetts governor, who turned 65 on Monday, will not be enrolling in Medicare. Instead, he will keep his private insurance and pay for it on his own. The statement came as Romney is trying to attack President Obama over Medicare, once again, with variations on the misleading statements covered in this space previously. Greg Sargent and then Brian Beutler on Monday published detailed fact-checks of Romney’s allegations. They are well worth reading if you want to remind yourself just how dishonest the Romney campaign is willing to be. But put that question aside. Focus, instead, on Romney’s apparent decision to decline Medicare, the program in which virtually every single American enrolls upon reaching retirement age. The former Massachusetts governor has called for the wealthiest to see reduced public insurance benefits in order to maintain the solvency of the program. Romney, worth well north of $100 million, is practicing as he preaches. 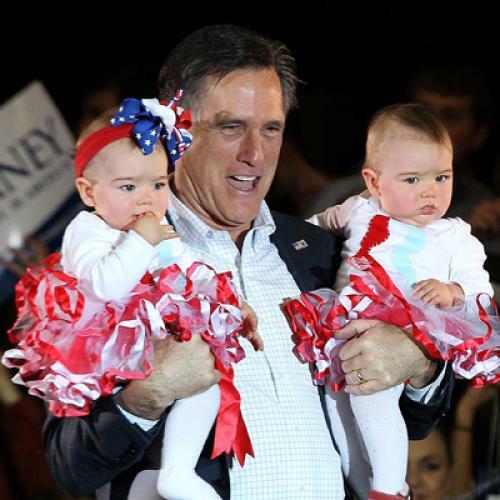 That may be and, to be clear, there's something admirable about Romney living by his principles. The problem is that his plan wouldn't simply reduce Medicare coverage for the very wealthy. It'd reduce Medicare coverage for many other people, too. Why would Romney think that putting middle-class seniors at greater financial risk is even tolerable, let alone advisable? Who knows. But you have to wonder whether his affluence blinds him, or at least desensitizes him, to the threat medical expenses can pose -- and the difficulty older Americans traditionally have in the private insurance market. Most likely, Romney has been getting health insurance from his former employer, Bain Capital. It’s possible Bain’s policy is available to retirees even after they reach 65. But that would put him in an unusually privileged situation. As the Employee Benefit Research Institute has documented, fewer and fewer employers are offering benefits to retirees, and those that do typically offer coverage only as a supplement to Medicare. If Romney cannot get coverage from Bain, now that he’s 65, he’ll have to buy it on his own. But that won’t be easy. In fact, it will be damn near impossible. Because most Americans take Medicare once they are eligible, private insurers generally don’t offer coverage to people who are older than 65. But even slightly younger individuals have difficulty getting coverage. According to Georgetown University’s Mila Kofman, a leading expert on the individual insurance market and the former state insurance commissioner for Maine, insurers usually charge Americans between the ages of 60 and 65 about seven times what they charge 21-year-olds for coverage. And that’s assuming they are in good health. Remember that Ann, Mitt’s wife, has multiple sclerosis. That would likely render her totally uninsurable. Just to make sure about this, I checked with an insurance agent from New England—Bill Malloy, of the Malloy Insurance Agency in Stamford, Connecticut. I explained the circumstances and asked what would happen if a 65-year-old went looking for individual insurance in his state. “He couldn’t get it through any normal channel,” Malloy said, unless Romney could find a policy through a specialty carrier such as Lloyds of London. You might wonder why I tried an agent in Connecticut instead of Massachusetts, the state Romney claims as residence. Simple. The comparison there is more complicated. Massachusetts happens to be the one state that has successfully reformed its private insurance market, so that virtually all individuals can get reasonably priced coverage regardless of pre-existing conditions. Romney, as you know, is the governor who made that possible. But he’s sworn to repeal the law that would bring the Massachusetts system to the rest of the country, just as he’s vowed to end Medicare as we know it. With an estimated net worth of between $100 and $200 million, Romney could probably afford to pay for his family’s medical needs, whatever the costs, even if he had to do so entirely out of his own pockets. But that makes him exceptionally rare. I still remember the day my father qualified for Medicare. Even though he and my mother are relatively affluent, he was thrilled when that day arrived, because he knew Medicare provided the kind of financial security that even the two of them would need as they get older. Update: I reworded a few passages, once I discovered the Buzzfeed story's explanation of Romney's likely motives. Among other things, I wanted to give Romney credit for living by his principles, even if I think his policy ideas are not in the best interests of most Americans. Also, just to be clear, enrollment in Medicare Part A, the portion that covers hospital bills, is automatic once you start collecting Social Security. But Romney could decline to use that insurance to pay his bills. Participation in Medicare Part B, the portion that covers doctor bills, is voluntarily -- although, again, virtually every American enrolls.